Discussion in 'Everything Else Archive' started by brianh, Apr 24, 2016. Set of Cruz pickups from a 2011 Ltd '57 Wildwood 10 Custom Shop Strat relic. Only available in these Wildwood guitars, it's very rare to see them for sale. Wound a little hotter, so they're slightly darker. Sound great but I went with something different in this guitar. 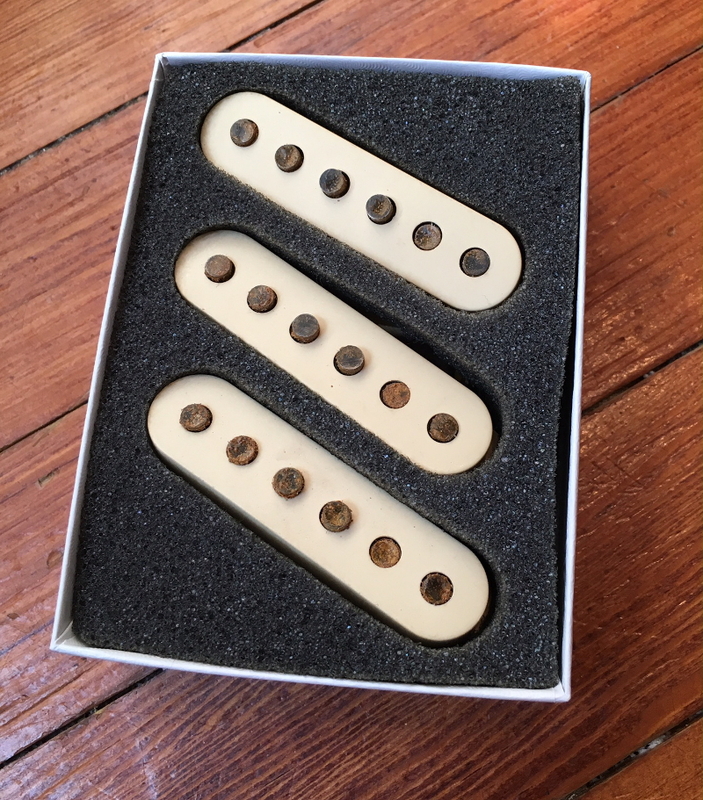 They're in a nice box from a set of other pickups but I will include and ship in it for safe delivery. These don't come up for sale often, so I've no idea of their value. A set sold on ebay last month for $425 without covers. These come with their covers. Leads are unsoldered and not clipped. $400 shipped and PayPal'd within the continental US via USPS Priority insured. Overseas, shoot me a PM. FYI: great pickups. 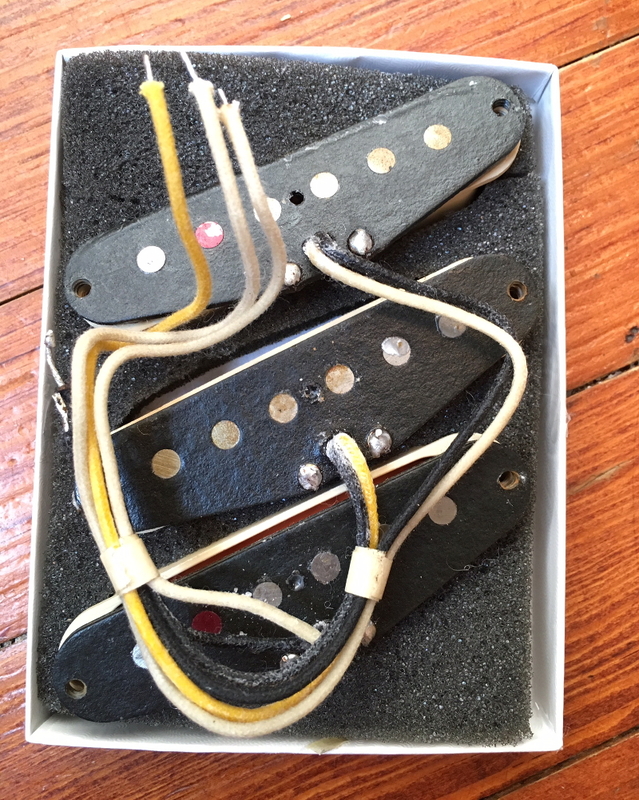 And they're used in all Wildwood 10 Strats regardless of the model year---so if you've heard any WW10 Strat that sounded great, you've heard these pickups. Thanks! They really are great sounding pickups. I just went with something even hotter.